OK, that analogy is stretching things. :) Anyway, the mailboxes are for 86A and 86C Arroyo Hondo Road. 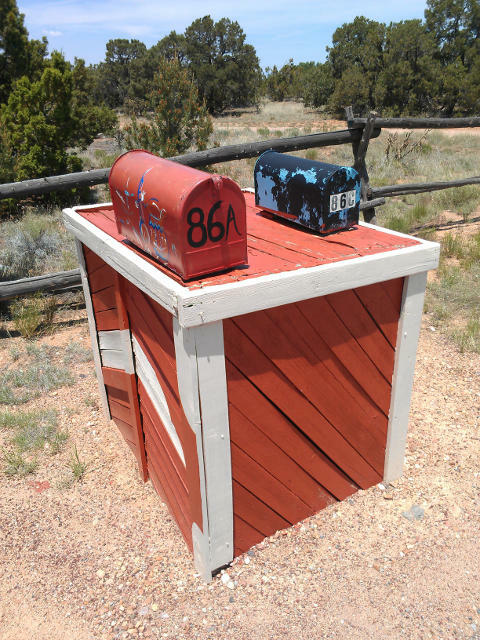 By the way: Last week's entry showed two mailboxes, too. 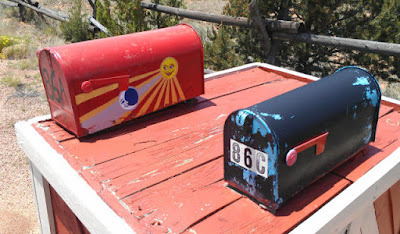 Next week, we (this blog and I) will be back to Tucson mailboxes.